Open :Monday - Sunday 13:00 - 01:00 . 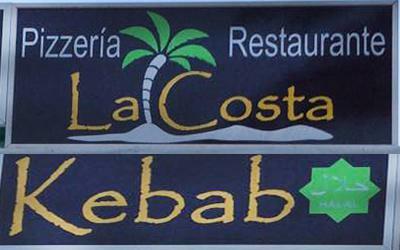 Pizzerias Costa Teguise - Kebab Costa Teguise - Takeaways - Costa Teguise, Lanzarote, food delivery Takeout Costa Teguise- Tahiche- Tinajo Lanzarote. Takeaway Lanzarote. Pizza Takeaway, Kebab Takeaway, Indian Food Takeaway, Chinese Food Takeaway, Italian Takeaway Lanzarote.Delivery Lanzarote | Delivery Playa Blanca | Delivery Yaiza | Delivery Puerto del Carmen | Delivery Costa Teguise | Delivery Arrecife | Delivery Puerto Calero | Delivery Macher | Delivery Tias | Delivery Playa Honda | Delivery Haria | Delivery Playa Honda | Delivery San Bartolome .